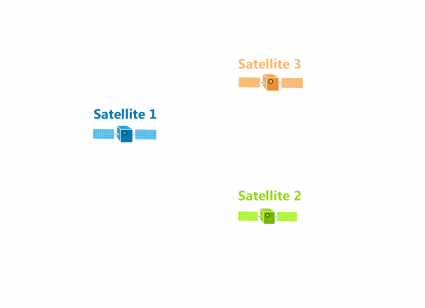 Have you ever wondered how your GPS receiver works? They use a technique called trilateration. Despite how GPS receivers are often confused with triangulation (which measures angles), they really don’t use angles at all. Let’s take a look into this with a bit more detail. 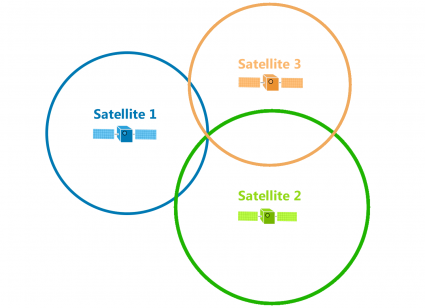 How does the GPS system pinpoint your location using trilateration? 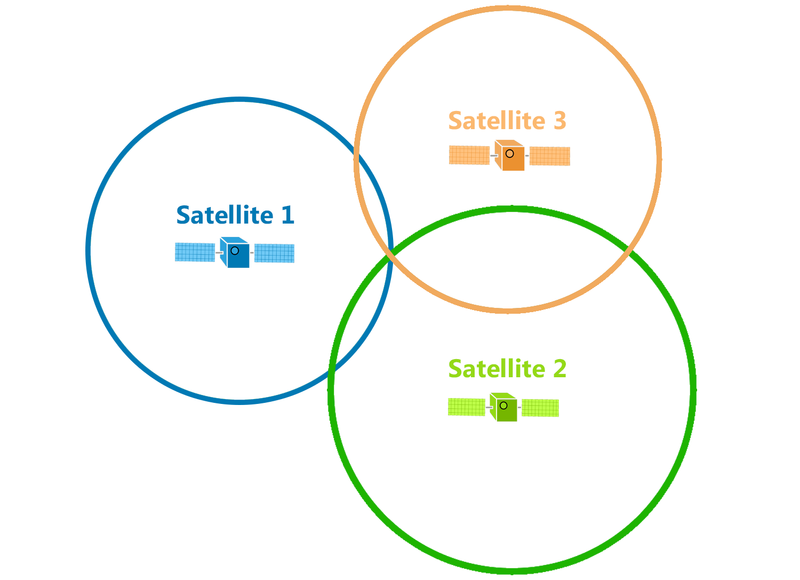 Using a simple two-dimensional example, let’s imagine we have three GPS satellites each with a known position in space. Really, all that satellites do is broadcast a signal for your GPS receiver to pick up with a specific time and distance. For example, the first satellite broadcasts a signal that eventually hits your GPS receiver. We don’t know the angle, but we do know the distance. That’s why this distance forms a circle equal in all directions. This means that your GPS position could be anywhere on this circle at this specific radius. What happens when your GPS receives a second signal? Again, this distance is equally broadcasted in all directions until it hits your GPS receiver. This means that the distance could be anywhere on that circle. But this time, we have two known distances from two satellites. With two signals, the precise position could be any of the two points where the circles intersect. Because we have a third satellite, it reveals your true location where all three circles intersect. Using three distances, trilateration can pinpoint a precise location. Each satellite is at the center of a sphere and where they all intersect is the position of the GPS receiver. As the position of the GPS receiver moves, the radius of each circle (distance) will also change. But the reality is in our three-dimensional world that GPS satellites broadcast signals as a sphere. 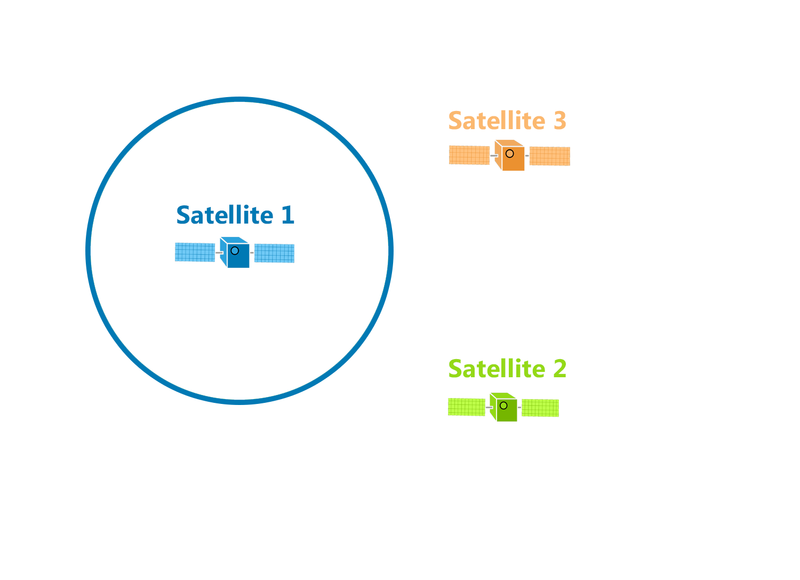 Each satellite is at the center of a sphere. Where all spheres intersect determines the position of the GPS receiver. 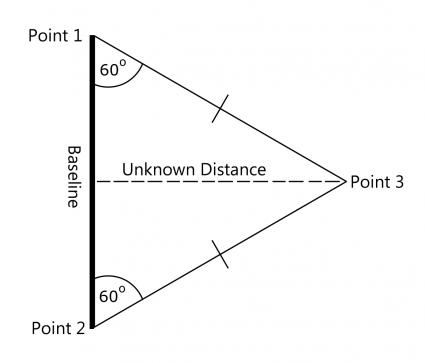 On the other hand, surveyors use triangulation to measure unknown distances. They do this by establishing a baseline length. From each point, surveyors measure angles of distant points use instruments such as theodolites. When we know the lengths and angles, triangulation determines the distances by forming triangles, as shown in the diagram above. For example, surveyors gathered approximately 26,000 stations from Meade’s Ranch in Kansas to create the North American Datum of 1927 (NAD27). 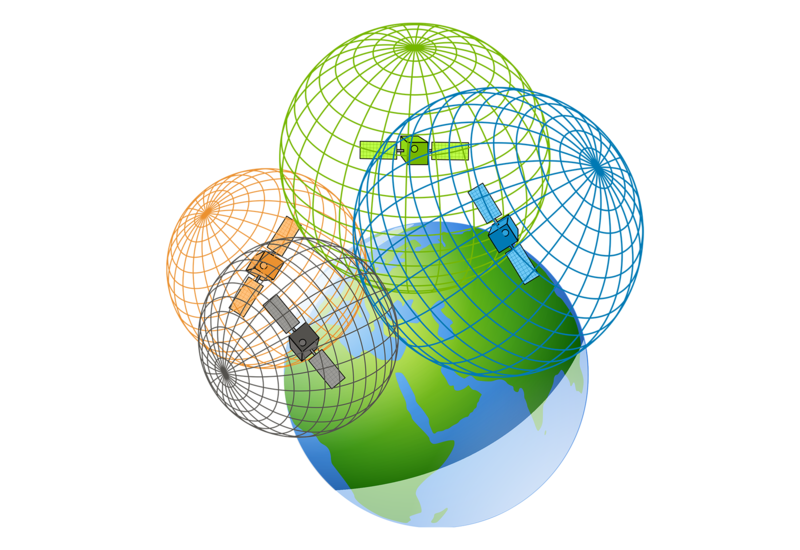 But the Global Positioning System uses the World Geodetic Survey (WGS84) to reference positions. 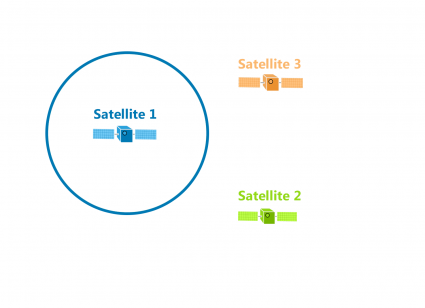 As GPS satellites broadcast their location and time, trilateration measure distances to pinpoint their exact position on Earth. 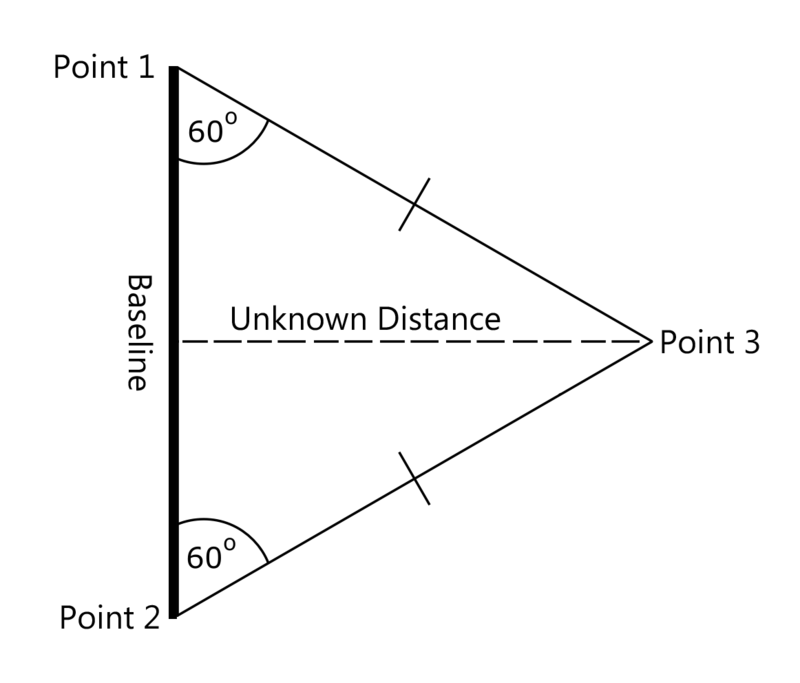 While surveyors use triangulation to measure distant points, GPS positioning does not involve any angles whatsoever. Through the measurement of distances, your precise GPS location can be determined. Yet several factors such as HDOP, PDOP, GDOP and the atmosphere can affect GPS accuracy and error.